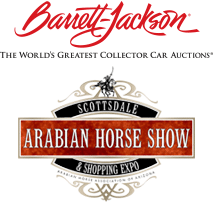 Returning as one of the premier media partners for the Fifth Annual Bentley Scottsdale Polo Championships: Horses & Horsepower is Independent News Media. The Independent newspapers of Arizona have been spreading the word about polo in Arizona through their publications valley wide. Independent News Media emphasizes local news in Scottsdale, Paradise Valley, Sun City, Gilbert, Mesa, Peoria, Queen Creek, Surprise, and San Tan Valley, and Apache Junction.